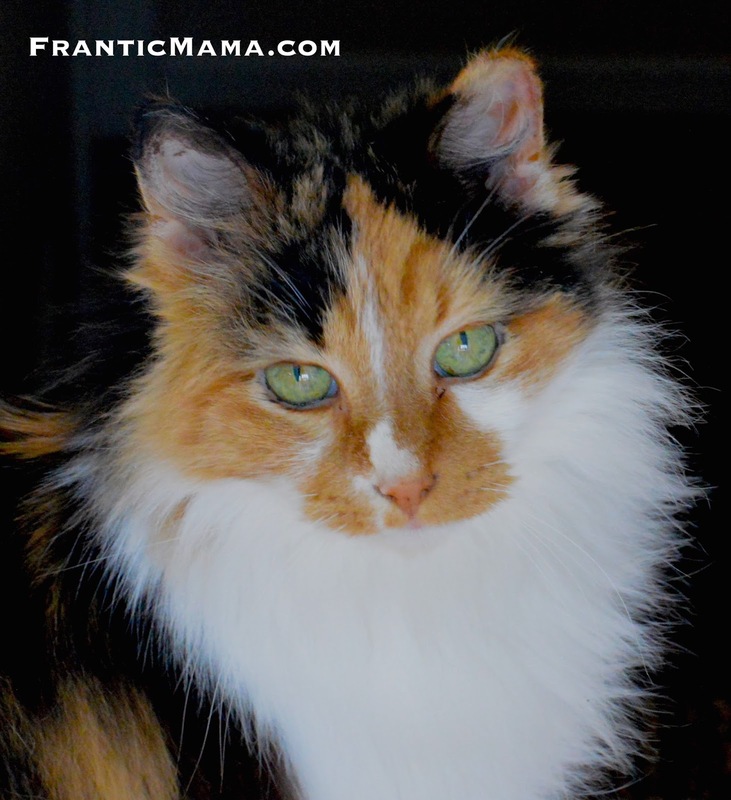 Frantic Mama: We adopted...a cat! I feel remiss, readers! I have not formally introduced all of you to our newest family member. 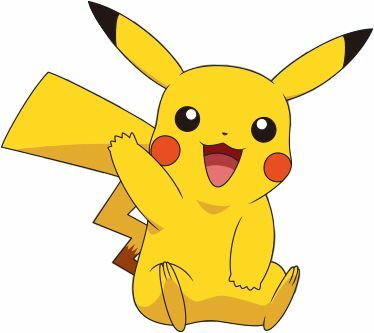 Please forgive me, and meet Pikachu! Do you see the resemblance ;) ? The fact that my kids and I convinced my dog-loving husband to give a cat a try is also a pretty huge deal. He loves her now too and can often be found petting her on his lap in the evenings. Besides, who could resist those chunky, fluffy paws, calico fur, and green eyes? 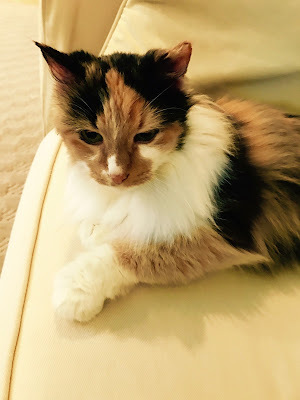 Pikachu is sitting/sleeping in her favorite spot-- my lap-- as I type this. You can find more Pikachu Pics on my Instagram page (of course): www.Instagram.com/FranticMama. How about you guys? Who has pets? Are you a dog person, a cat person, or like me, an everything-with-fur person?